Norwegian guitarist Stian Westerhus is one of the most original musicians I have heard in some time. He is also quite prolific, having recorded three solo albums and collaborating with a number of equally experimental artists over the past few years. 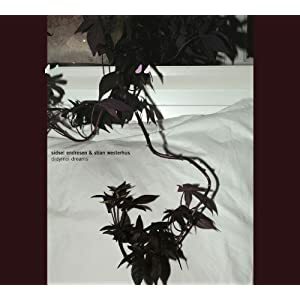 A few of these include the bands Puma and Monolithic (with Motorpsycho drummer Kenneth Kapstad), and a fascinating excursion with vocalist Sidsel Endresen titled Didymoi Dreams. The latter has just been released by the Rune Grammofon label, and is pretty wild. The 11 tracks that comprise Didymoi Dreams were recorded live at the Nattjazz Festival in Bergen, Norway. Sidsel Endresen began her career as the singer with the Jon Eberson Group, from 1981-1987. She then went on to record two solo albums for the ECM label, and has collaborated with others on a variety of projects. While Didymoi Dreams was performed in front of a festival crowd, The Matriarch and the Wrong Kind of Flowers was recorded in the studio. This is Stian Westerhus’ third solo album, and is another Rune Grammofon release. The studio in which most of the material on the album was recorded is the Emanuel Vigeland Mausoleum in Oslo. It provides an incredible setting for such a venture. The tomb is known for its 20-second natural reverb, and is filled with enormous cave paintings depicting the circle of life. To preserve the paintings in the best possible way, the temperature is kept at five degrees Celsius. The studio is very much a part of the album, for there is an otherworldly sound that Stian’s guitar achieves in this setting. When listening to his playing, it is easy to believe that his initial inspiration for picking up the guitar was when he saw a tape of Jimi Hendrix playing the “Star Spangled Banner” at Woodstock. He was just 13 at the time, yet it showed him the vast possibilities of sounds that exist in the instrument. From the opening notes of “Shine,“ you feel it. There is an immense power to his playing, which is only magnified by the studio environment. As has been said before, sometimes it is not what you play, but what you do not play that matters. There is an economy to much of Stian’s performance that says more than all the notes on the fretboard combined could. As I have attempted to convey though, Stian Westerhus is nothing if not a complex musician. While I quite enjoy the minimalism that he employs, there is a great deal more to this album as well. The intriguingly titled “Like Passing Rain Through 9 Lives” is one example, as is “Unchained Sanity on Broken Ground.” The final track features the incredible guitar workout “The Wrong Kind of Flowers,” which sends the whole thing into overdrive. Although the Norwegian music scene does not generally warrant the attention of some others in the press, there is a great deal going on. 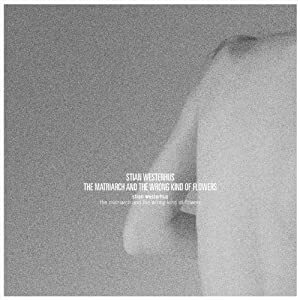 These two releases featuring Stian Westerhus are excellent examples of the phenomenal music being created there.